Instrument Rack - Solution Control Systems Inc. 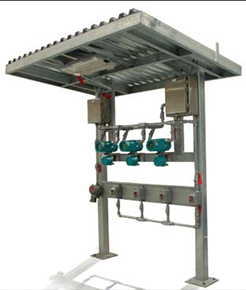 Instrument Rack - Solution Control Systems Inc.
Pressure transmitters rigid piped and wired to junction boxes on a free standing rack with shed and light on it. This rack is rated for Class I Division 2 area.